I started this blog back in July 2005 after I graduated from USC Marshall. With time to kill and places to go it seemed like a good extension to my 'Get Jealous' blogging days. Lots of events, places and people have come and gone over this four year period. But, if you made it into my blog you've been immortalized :) Let's hope for another exciting and amazing four years ahead! If you're a sneakerhead then nothing can keep you from pursuing your ultimate kicks collection. Even a recession may not stop the hunt 'n' seek. But, if you happened to be part of a riot in downtown LA that targeted a sneaker concession store it probably felt like Christmas! 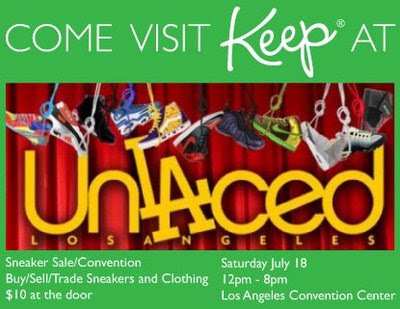 The Holy Grail sneaker store that opened back in 2008 got robbed of $150,000 of shoes during the LA Lakers basketball championship parade back in June! I missed the news, but I did get a note about supporting a party tomorrow to help rebuild Holy Grail. The guys who run that spot are super cool so if you're in the neighborhood then reach out to them.